This delightful, bright pink flower grows in the harsh, dry and sandy conditions on the coast of the Mediterranean region from the west (Portugal and Spain) as far east as Italy. It flowers from February until May. 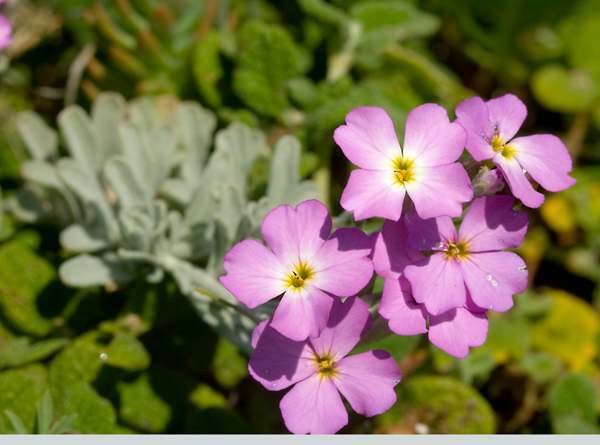 Malcolmia is a member of the Cabbage (Brassicaceae) family of plants formerly known as the Cruciferae. 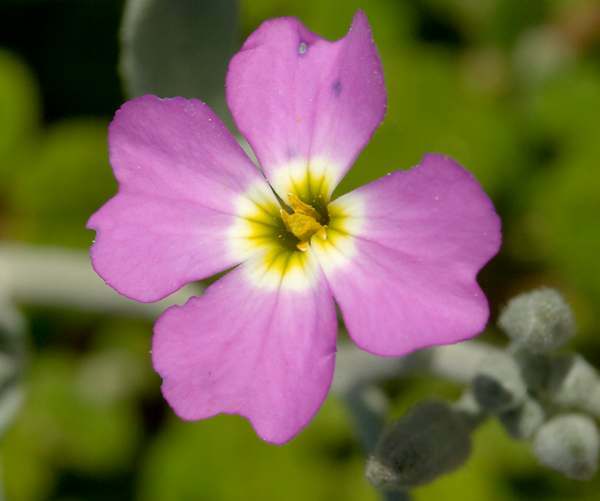 A similar species, Malcolmia lacera, also occurs in Spain and Portugal. 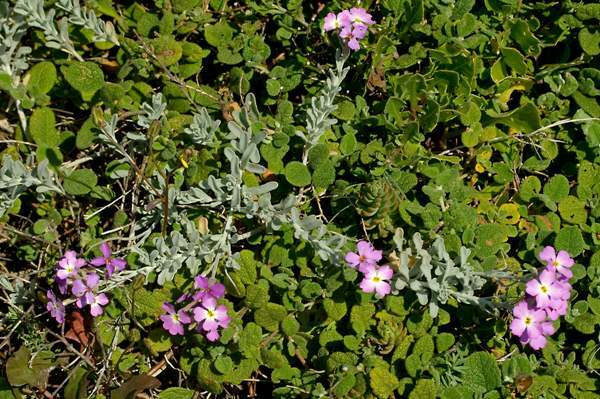 The basal leaves have shorter stalks than Malcolmia littorea. The specimens shown here were photographed in March in the Algarve, southern Portugal.